The annual event for everyone who works on the delivery of projects — with lots of gifs! If you haven’t been to Deliver Conference then you must! 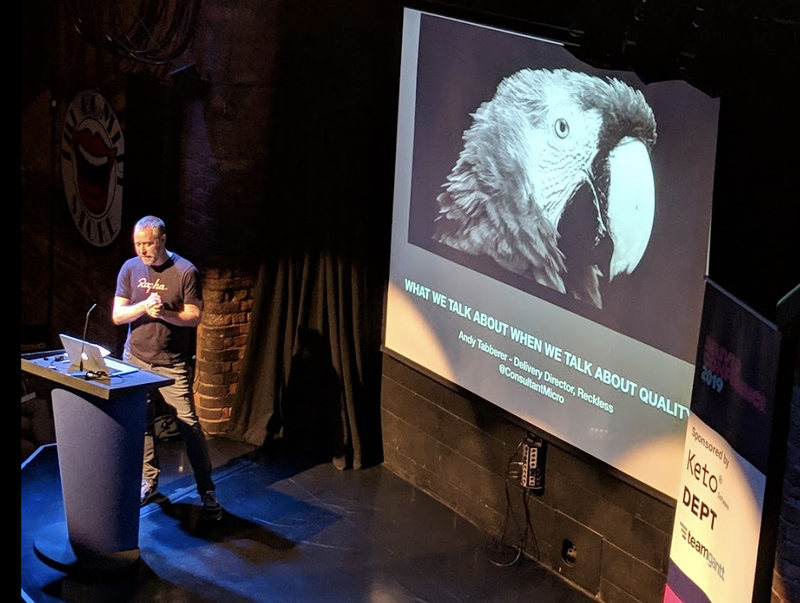 Here is my round up of the 2 days I spent in Manchester at DC19 listening and learning some fantastic tips from great people in the industry of delivering projects. I’m lucky enough to say this is the 3rd year I’ve attended the event and the 2nd year I’ve participated in the workshops. One of the top things about the event, for me, is talking with everyone and learning that we all face similar challenges, no matter where we work. It’s a great therapy session and a real confidence booster! 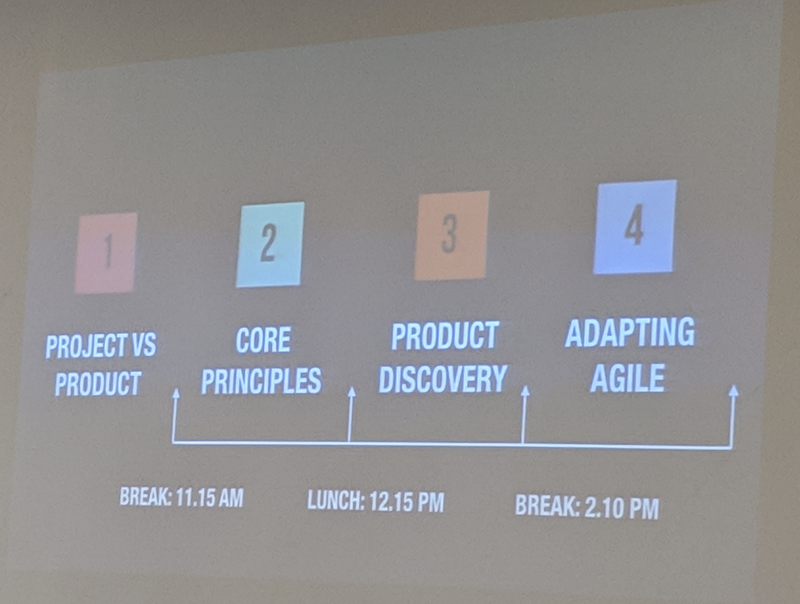 On the first day, I attended a workshop called: ‘Adapting Agile and Applying the Product Mindset for Better Projects’ ran by Suze Haworth. Suze spoke about how we can adapt product management theories and tools for project management. 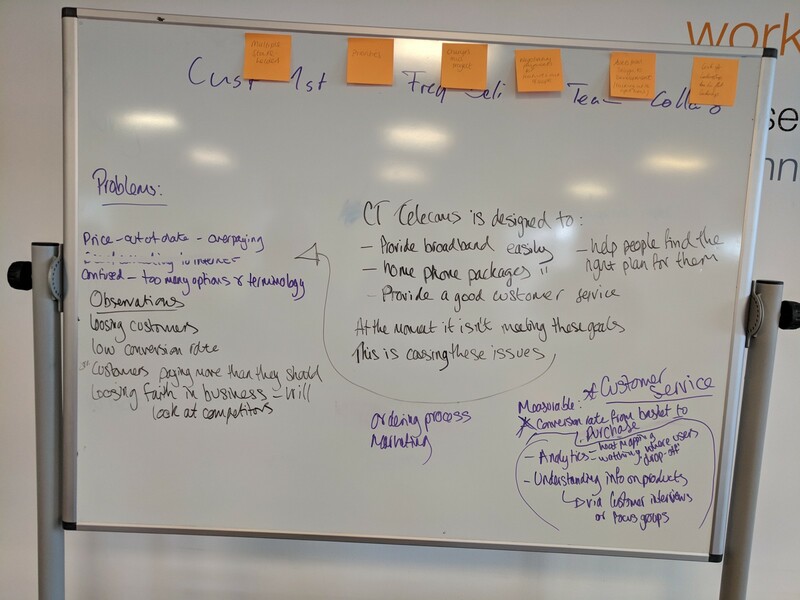 Put the customer first — We try to keep our clients, team and business owners happy and we tend to let personal opinions or business motives take over the actual needs of the end user. Develop a hypothesis! Create an early feedback loop — As we all know, communication is key. However, sometimes we don’t talk as often as we ought to, depending on the situation, team or project we are working on. In the workshop, we sat on round tables of 5–7 people. 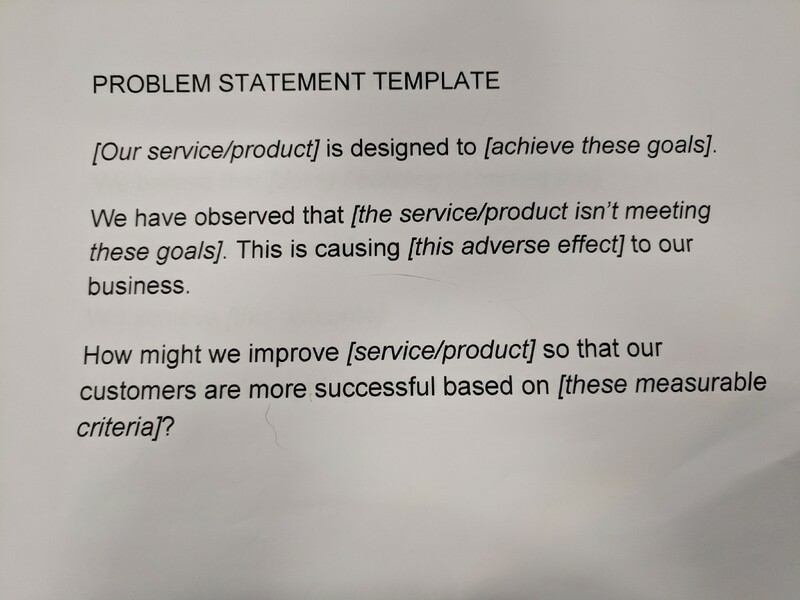 Suze handed out scenarios for us to try producing a problem statement in our groups. It was definitely easier said than done, but we did get to use post-it notes and a whiteboard to help us! Below is a photo of our ‘workings’. 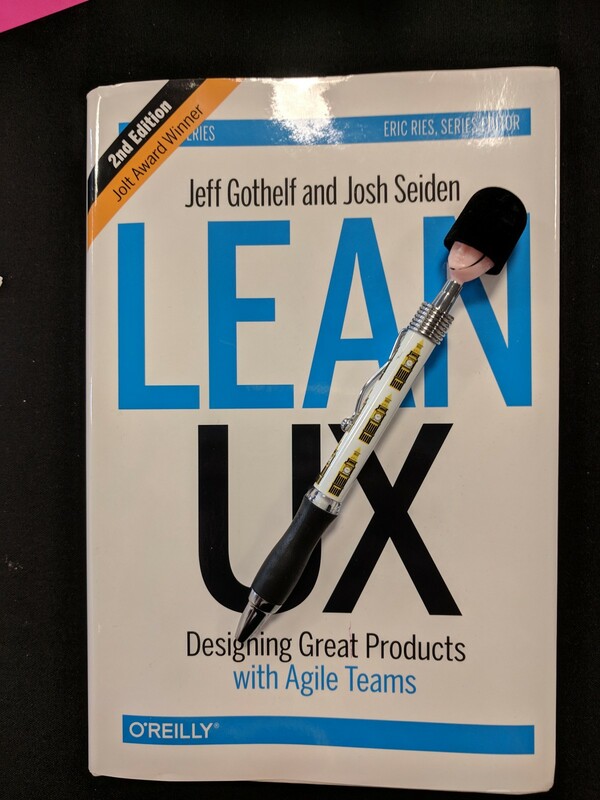 I’m chuffed to be the winner of this book and pen. This was something I physically ‘took away’ from the workshop and I won it by offering up what I had written in my retrospective to stop, start & continue. It goes to show how you can benefit from being collaborative and giving up information freely. The second day was held at The Comedy Store, and was crammed with people sharing their tips & experiences on stage. As most of you will be in the profession of helping to deliver projects, you will know that, at times, the job can be somewhat stressful. I am slightly biased with this talk as Andy has been my PM coach, friend and inspiration for the past 2 years whilst working together at Reckless. As an official delivery team Andy, Sian and I have worked together in shaping the quality goals and standards. However, the delivery team really involves everyone! Including everyone — getting people on board will help make improvements easier, quicker and fun! Laura and Natasha delivered great presentations which complimented each other. The theme they spoke about was the importance of what are historically known as ‘soft skills’ and rebranded them to ‘emotional intelligence’ or ‘critical business skills’. Admit when you’re wrong — say sorry! Embrace feedback and difficult conversations — stick to the facts, give examples, put yourself in their shoes and get ready for questions. Take yourself outside of your comfort zone — this is where the magic happens! One size doesn’t fit all — understand that not everyone is the same. Well, that’s a lot of info in one blog post! As you can see, there is so much to gain from attending the event and meeting people who are all in the same boat. Thanks again to all of the wonderful presenters and to everyone I spoke to at the conference. It really is a great community of people trying to do their best in the world of project delivery by helping each other and sharing experiences. Massive thanks to Beth Milligan for proofreading this post and suggesting improvements! Project Manager at Reckless. A goal without a plan is just a wish.